August was a rather busy month with many things to take care of. However, now that all of those are lying behind me, I can finally devote myself to GENBA again, which is precisely what I’ve been doing over the past few days. Since the creation of a demo is still our top priority, I have mainly focused on one of the last few bigger issues that remain, before we can actually make one: the user interface. A little while ago, I already posted a preview of the textbox on my private Twitter account. Ever since then, the design has slightly changed. 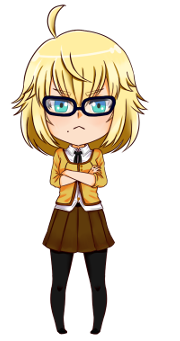 Not to a drastic extent or anything, but you will certainly notice the difference once I post a picture of the final version. Unfortunately, it’s not 100% done yet, so that will have to wait until another day. There are a few things of note here. First of all, this is what all the menus will look like from now on. If you’ve played SHINRAI, you could probably tell that we used its interface as the basis for GENBA’s. We simply updated and evolved it a little. Not just in terms of color and design, but layout as well. The menu will be a little simpler and consequently quicker to navigate. But that’s something we will get into another time. Then there is a name which you might recognize, but that’s also something I won’t be saying anything about today (other than yes, GENBA will indeed have a few connections to SHINRAI!). What I do want to talk about, however, is the DPA. Although I’ve never actually stated its name until now, I did refer to it before in my blog post about finding The Balance Between Fun & Realism. 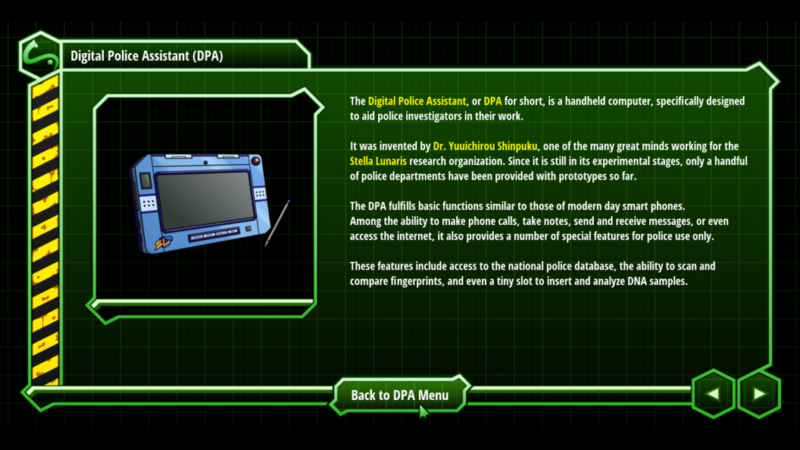 The DPA will be a handy tool that will make the investigation process a little simpler and (hopefully) more fun. Furthermore, as indicated by the button on the bottom, it will also kinda serve as the game’s menu. It really won’t be too different from Raiko’s notebook, but whereas that never actually looked like a notebook design-wise, this time, I wanted the menus to resemble what the investigators might be seeing on the screens of their DPAs. I will be talking about the menus some more in the future, but I guess for now, I’ll leave it at this. Now that the general design is finally set in stone, I will concentrate on finishing the rest of the menus as well as the title screen ASAP. Once that’s out of the way, I will take care of the remaining assets. And hopefully, next month, we will have everything we need in order to turn the prologue into a fully functioning demo.